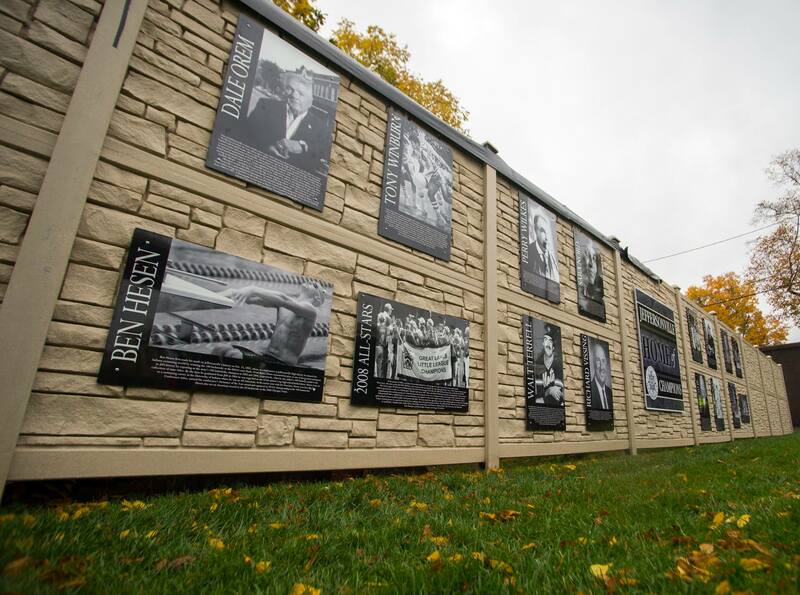 The City of Jeffersonville unveiled The Wall of Champions to honor more than 50 Jeffersonville natives, current and former residents who have left their mark on the city through their service, philanthropic or athletic endeavors and community spirit. “These are people we are proud to claim as Champions in Jeffersonville’s history,” said Jeffersonville Mayor Mike Moore. The project is funded by the Redevelopment Commission and was approved by the Jeffersonville Public Arts Commission over a year ago. This is just the first installment of honorees for the Wall of Champions. The city has already started gathering photos and information on the next round of honorees and space on the wall has been intentionally left unfilled so other Champions can be honored in the future. Those honored on the wall were chosen by a group comprised of former City of Jeffersonville Public Works Director Rick Lovan, Parks and Recreation Director Paul Northam, Street Commissioner and retired firefighter Clark Miles. Based on their knowledge of the city and through their contacts, the group developed a list of potential honorees for the wall. The group also solicited recommendations from other community leaders and historians. 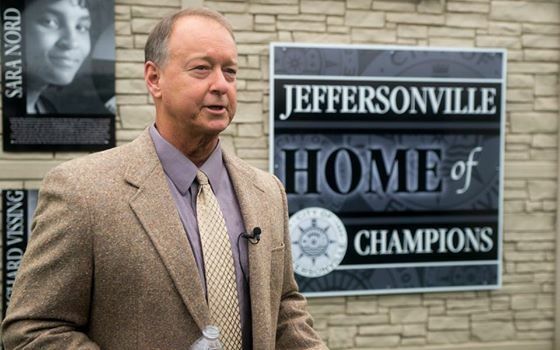 Dale Orem – former Jeffersonville mayor, businessman, Jeffersonville High School and University of Louisville athletic stand out. Ben Hesen – Championship swimmer from Jeffersonville High School and Indiana University.